We’ll make sure that you are 100 percent satisfied with the way your new custom floors in Barrie, ON turn out. When you shop for flooring materials at a big-box retailer, you run the risk of having the same floors as your neighbors. This is especially common if you are shopping for flooring that is on sale, since many people are looking for deals when they perform renovations or install new flooring. On the other hand, a custom floor can turn your living space into a unique and personalized area that you will enjoy spending time in. Floors are something that people notice as soon as they walk into your home, so installing custom floors will ensure that your personal style is reflected. If you are in the market for custom floors, call us at Giant Carpet Flooring Centre. 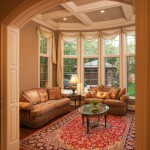 We have years of experience in the flooring industry and offer free in-home consultations. When we come to your home to provide you with a consultation, we can look at the other flooring materials and furniture in your home to determine the overall feel, and then design flooring that will look great with the other stylistic elements in your home. We provide consultations to clients in Barrie, Ontario and much of the surrounding area. We also provide competitive pricing, so we will make sure that we find options that will work well with your budget. We’ll also make sure that you are 100 percent satisfied with the way your new custom floors turn out. For more information about custom flooring, give us a call at Giant Carpet Flooring Centre today. At Giant Carpet Flooring Centre, we install high-quality custom floors in Barrie, Alliston, Angus, Newmarket, Cookstown, Innisfil, Bradford, Midland, Wasaga Beach, Collingwood, Muskoka, Gravenhurst, Bracebridge, Orillia, Thornton, Everett, and all of Simcoe County, Ontario.